collected by Alwyn Sidney Haynes (1878-1963). This pair of embroidered slippers is among the best preserved such pair we have seen. They are in pristine, museum-quality condition. It is likely that these shoes were worn only once, or were not worn at all. 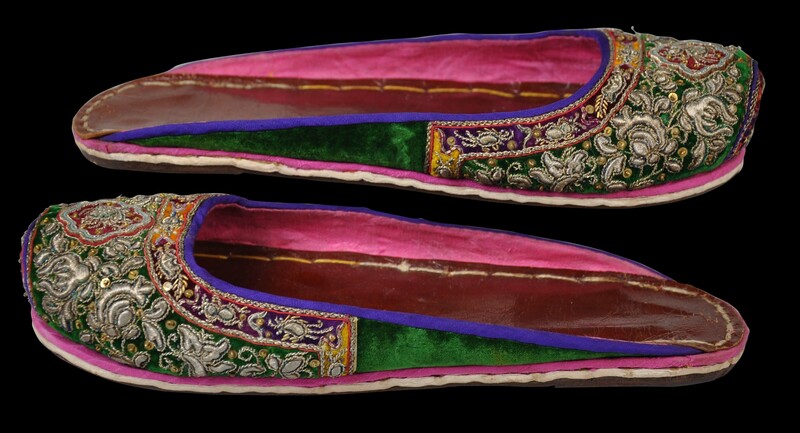 The pair would have been commissioned for a Straits Chinese bride. 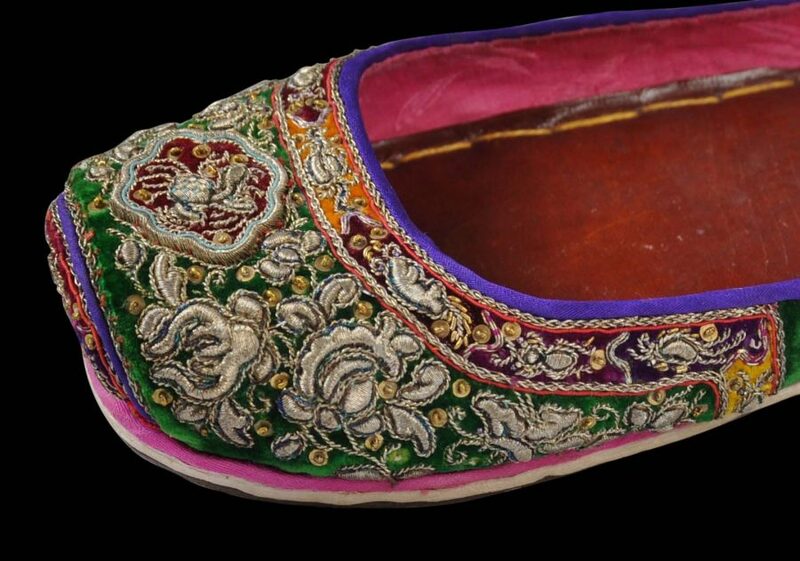 Ho (1987, p. 120) comments that such shoes were worn on the actual wedding day, when the marrying couple, put on their voluminous Qing-style wedding gowns. They are not to be confused with the more common wedding slippers that were worn on other days surrounding the actual wedding day. 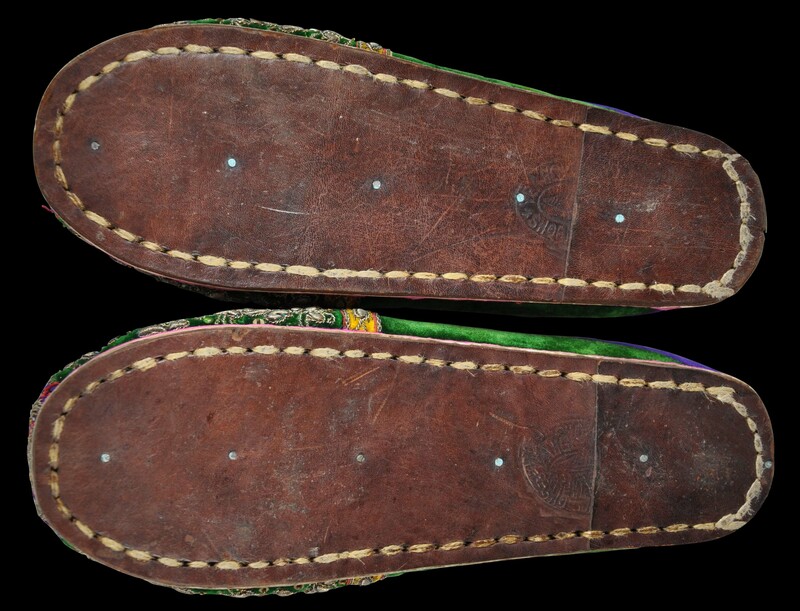 The leather soles of this pair are stamped with the mark of ‘Yeah Chong Long Shoemaker’. The stamps are only partly visible but are the same as that on a pair identified in Cheah (2010, p. 153) and now in the Collection of the Department of Museums, Malaysia. 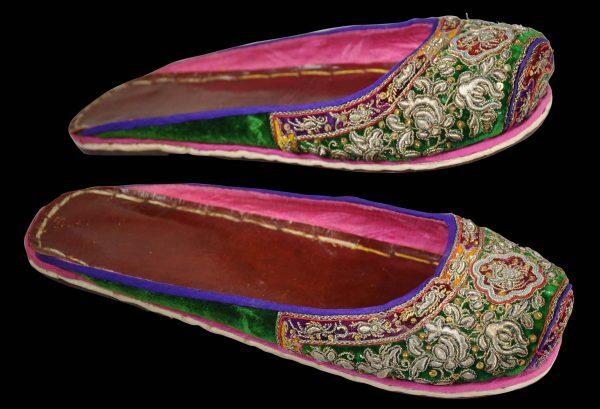 They are backless, have an enclosed toe, and no significant heel. 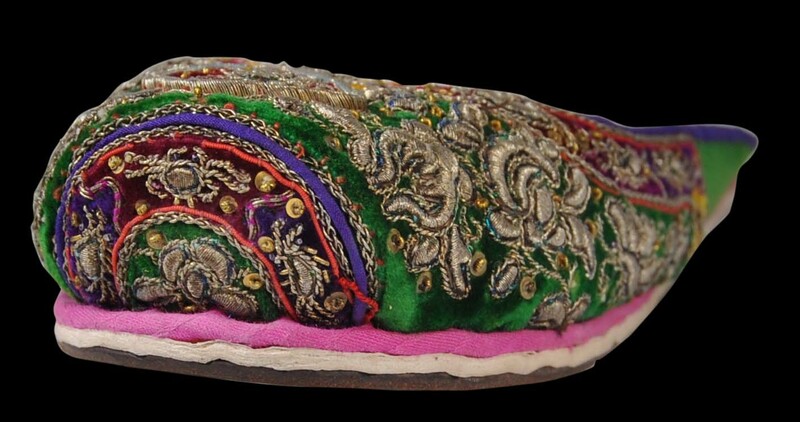 The uppers comprise red, green and orange velvet embroidered in high relief with gold metallic thread, and gold metal sequins. This work was known as sulam benang mas (Cheah, 2017, p. 16). The motifs used are phoenixes, peonies and finger citrons, which are among the emblems associated with Straits Chinese weddings and the desire for conjugal happiness. The soles are lined with thick brown leather and the interiors are lined with fine red leather. 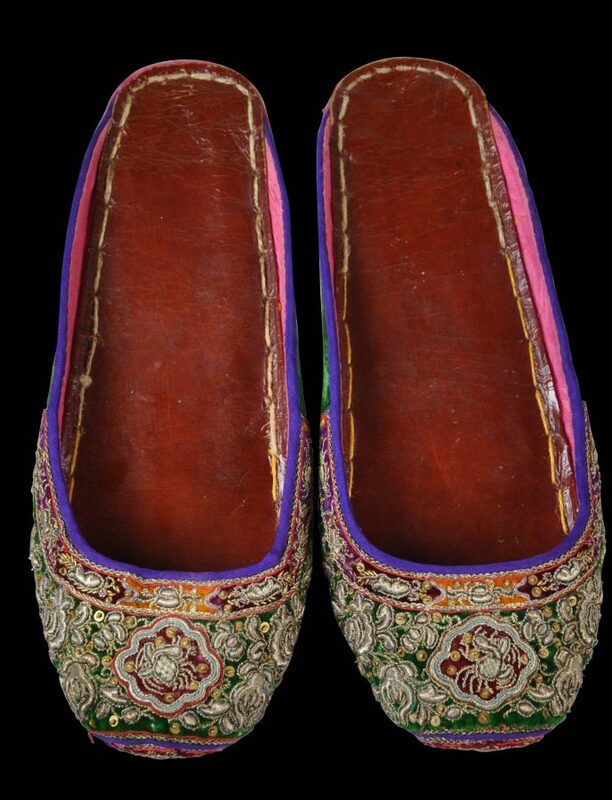 Overall, this is an exceptional and exceptionally well-preserved museum-quality pair of Straits Chinese wedding shoes.